The popular Nature Garden Teas offered by the hardworking carers of our Nature Garden every Tuesday morning, is coming to an end at the end of October. The Gardens are looking at their absolute best right now - why not give them your support every Tuesday morning! You can rest assured that not only will you get the best ever value for money (refreshments in abundance!) 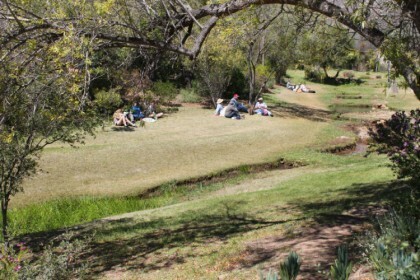 the income derived from the Nature Garden Teas are very much needed and will be well spent to help maintain it for our community and visitors alike. See you on the 8th, 15th, 22nd and 29th?